MuscleCoreTM Detonatrol™ by Amix is a powerful thermogenic formula which can provide excellent results. This is the result of a thorough study carried out by Large Life laboratories in order to create a product for those who are dedicated to nutrition and training. What are the properties of MuscleCoreTM Detonatrol™? MuscleCoreTM Detonatrol™ combines several raw ingredients that have been patented such as Sinetrol®, Clarinol®, Super CitriMax®, CapsiMax® and BioPerine® as well as another 12 components of the highest effectiveness. MuscleCoreTM Detonatrol™ increases the strength and resistance as well as improving fat loss successfully. It stimulates the lipolysis and eleminates the fat that is storedin our body, as well as increasing the energy while we do exercise. With denonatrol, you will be able to do harder and more intense workouts while enhancing the fat burning process. MuscleCoreTM Detonatrol™ is a great choice for those who want to lose body fat in a healthy and natural way. 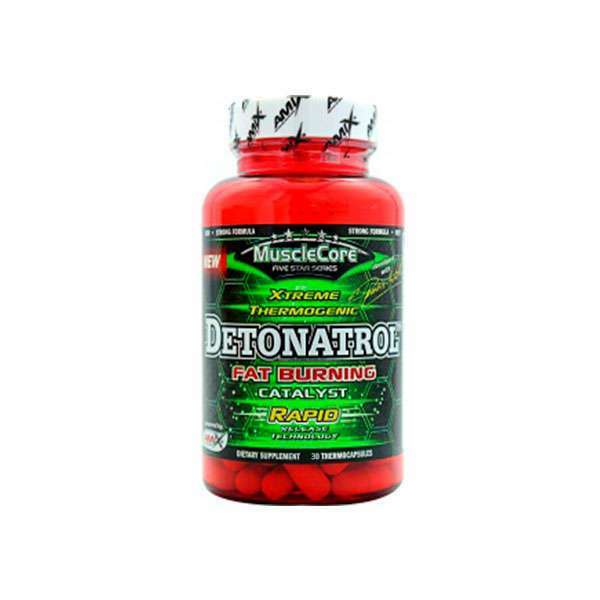 Who can benefit from taking Detonatrol? Active people and athletes who want an effective complement to lose body fat. Especially aimed at Fitness athletes on a cutting phase to help them lose retained liquids and body fat. Ideal pre-workout to improve the physical performance, especially in aerobic activities like running or biking. It also stimulates the use of fat as a source of energy. Gelatin capsule (made from pure gelatin, water, dyes: titanium dioxide), silicon dioxide, magnesium. 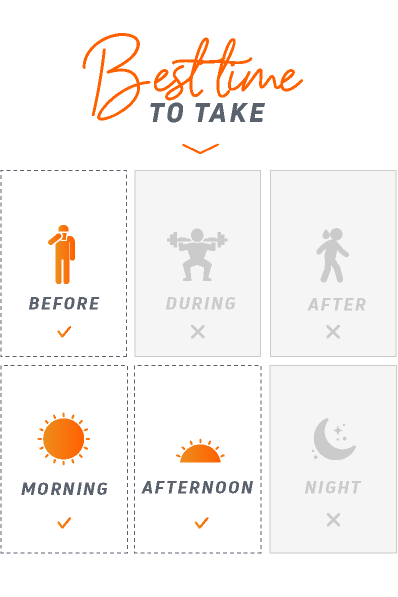 As a nutritional supplement, take 2-3 capsules twice a day approximately 30-60 minutes before physical activity. Take with plenty of water. Nutritional supplements should not be used to replace a balanced diet. Do not exceed the stated recommended daily dose. Once opened, store in a cool (under 25ºC), dry and dark place. Keep out of reach of the smallest children. For adults only. Do not take if you are pregnant, if you suspect that you are pregnant or during lactation. Limit the use of medicines, foods or drinks that contain caffeine while using this product. It contains caffeine (300mg/3 capsules). Taking too much caffeine can cause nervousness, irritability, insomnia and occasionally tachycardia. Avoid this product if you are allergic to aspirin or if you suffer from hypertension, arrhythmia, glaucoma, convulsions, ulcers, difficulty to urinate, prostate enlargement, diabetes, thyroid, hepatic diseases or eating disorders.